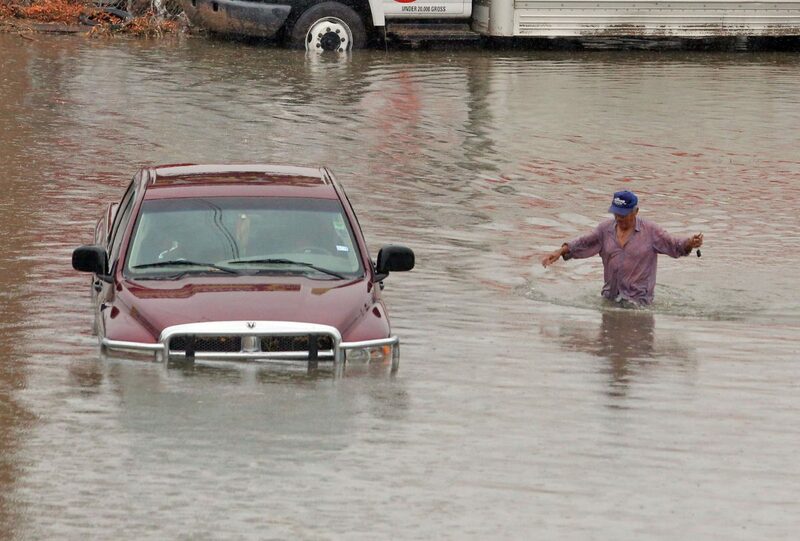 A man moves through the water to reach a truck stalled on the frontage road near Westgate Drive as heavy rains caused water to rise and flood whole neighborhoods on Wednesday, June 20, 2018, in Weslaco. Brownsville has largely been spared the heavy rains that drenched eastern Hidalgo County and western Cameron County, Texas’ southernmost city isn’t yet out of the woods. Tim Speece, a lead forecaster with the National Weather Service in Brownsville, said the current tropical air mass impacting the Rio Grande Valley is shifting away but forecasters are concerned that redevelopment over Cameron and Hidalgo counties is possible. The strongest possibility for redevelopment for thunderstorms is tonight and Thursday. “We would caution folks not relax,” Speece said. The flash flood warning will remain in effect until this evening and possibly into Thursday.